← Using #myipad in the classroom. I’ve always had a real phonology phobia and avoided using it in class. In fact, apart from the odd bit of repetition/drilling I don’t teach much pronunciation at all to be honest. I’ve always thought, that given enough opportunity to speak, the pronunciation will take care of itself. Also my opinion is, if I understand you, then it’s good enough, and nothing is more demoralising than someone continually correcting you when you are trying your best to say something, and now you can’t even remember what it was you wanted to say, and now you think about it you don’t actually feel like participating anymore either, so there. It has taken me about twenty years to realize that the reason I think this is that this is how I felt/feel about learning French. Or at least I did until I finally bit the head off my poor husband for correcting me once too often in the middle of a dinner party. Now he doesn’t correct me anymore, nobody who knows me does. And I have a rubbish accent. That has shown them all. 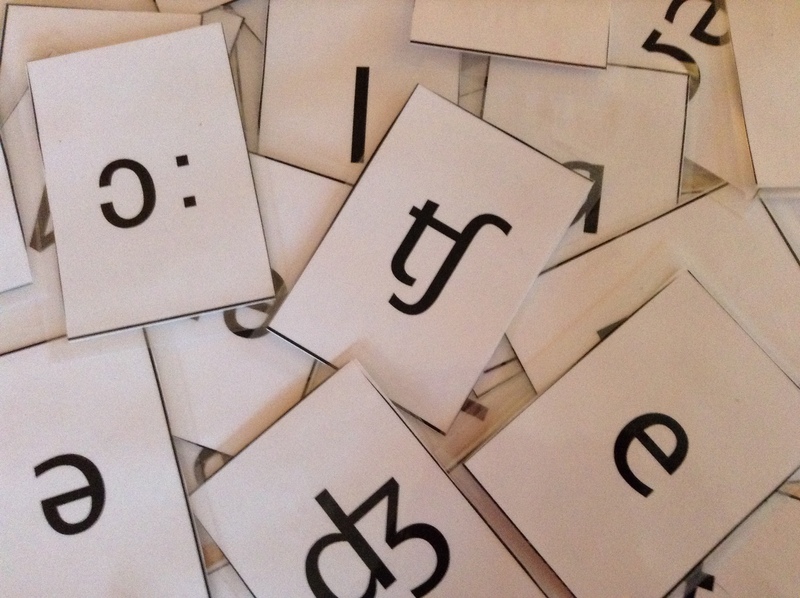 So, now I’m finally coming round to the idea that phonology may have a place in my classroom, but where? I feel uncomfortable teaching phonology, I think my experience has given me confidence in all areas of my teaching, except of course phonology – which is understandable because I have no experience in teaching it. My first M.A. assignment was about phonology, and I survived, in fact almost enjoyed the activities I did in class to complete the assignment. I have also realized that I understand my pupils because I’m so used to listening to them, but that doesn’t mean all other English speakers will. So I have decided to sign up to 30 Goals for Educators (see Teacher Reboot Camp and #30GoalsEdu) and teaching a phonology activity in every class once a week will be one of my teaching resolutions for 2014. Now, I just have to find 36 activities for 6 levels of classes! That’s where YOU come in handy, answers in the comments box please! This entry was posted in phonology and tagged EFL, Linguistics, Phonology, reflective teaching, Teacher Reboot Camp, teaching EFL, TEFL. Bookmark the permalink.